We use traditional manual spinal adjustments as well as many modern and low-force chiropractic techniques. For more about our chiropractic care, click here. Our therapists provide an array of therapeutic and relaxation massages to meet your specific needs. Learn more about our massage treatment here. 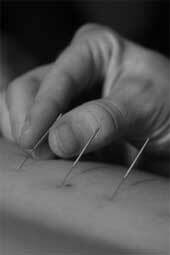 Acupuncture is used to help your body heal itself and improve overall health and well being. Click here to learn about our acupuncture treatment. CORE Chiropractic offers gentle and safe Chiropractic, Acupuncture, Physiotherapy and Massage Therapy. We are dedicated to serving the healthcare needs of as many families as possible. We go to extraordinary measures to ensure the highest quality care so that others may realize their full human potential. We treat every member of our practice like family. We strive to exceed your expectations while helping you improve your health. At Core Chiropractic, we aim to keep you healthy in all aspects of your life. Please use our reference center to learn about different health issues. Click here if you would like to get updates from our Wellness Library as well as three things to do before you visit the gym for your next workout.